What makes this night different from all other nights? You're about to get drunk. Yes, at a Passover seder, you have to drink — and the operative word here is have to. See, we Jewish people are so smart that we created a holiday in which you're obligated to drink four glasses of wine with dinner. For some of us, that's just a typically Monday night. For others, it means a guaranteed Tuesday hangover. Your liver can only process one drink per hour, so four drinks will set you right at the edge. Assuming your host pours generously, you've got to prepare yourself. 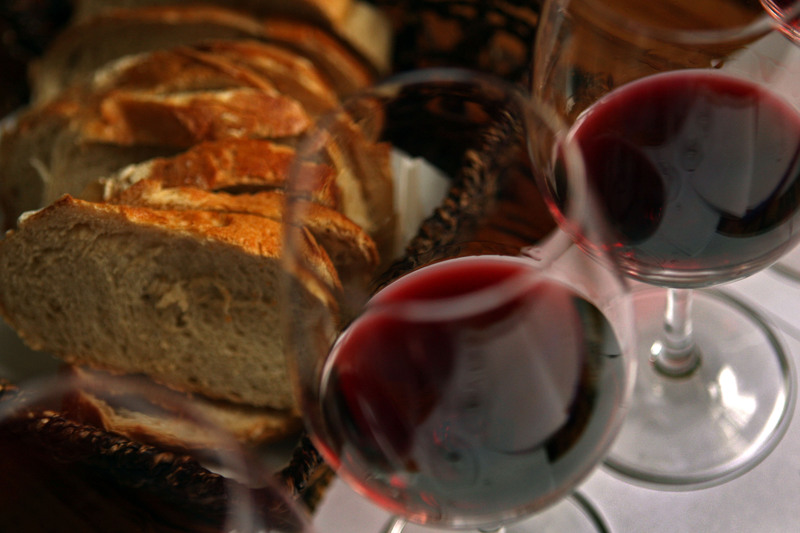 This isn't about pacing — the seder does that for you; it tells you when it's time to drink. This is about getting yourself ready, because you've got to stay classy. Hebrew ain't easy when you're tipsy. Nothing says "preparation" quite like the thought of downing wine with your grandmother and long-lost aunts who you haven't seen since ... last year. Mental preparation is key to any major event — be it a holiday, a family reunion, a religious holiday, a somber memorial, or a raucous celebration — and luckily, Passover just so happens to be all of those things. Psych yourself up. Yes, we know you're about to eat a big meal, but trust us, it's going to be awhile until you eat. Having a snack before the seder is a wise idea even if you're not planning on drinking. You never know exactly when the food may show up on your plate (depends how into telling the story of Passover your family gets this year), so sneak some Hillel sandwiches before the meal. You're a such smart girl. You know you have to hydrate, so fill that other glass with water. That's the key to avoiding the dehydrating effects of drinking, because you don't want that dreaded Passover hangover. 5. Remember, no one will smite you for not finishing. This is a religious event, people. Stay classy.